The boys all lived close by in the same street in Mordialloc. They played and enjoyed their school football, but they still wanted more football. The only teams in the area were for 18+ year olds, and there were no kids their age or size to play football with. The boys decided they’d have to take it upon themselves to do something about it. The boys first approached Dean’s father, Les, he thought it was a fantastic idea, and encouraged the boys to pursue their dream. Both Les and Peter Moait’s father, Bill, told the boys to gather the kids and talk to them about playing football. They rounded up enough to make a team, calling it The Keefer Street Football Club. At that time Keefer Street was the boundary between Mordialloc and Braeside. 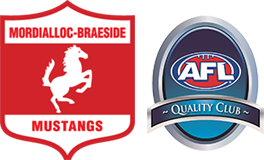 As Peter lived on the west side (Mordialloc) and John and Dean lived on the east side (Braeside), the club then became the Mordialloc-Braeside Junior Football Club. Their first serious match was played at the Ross Reserve in Heatherton against Chelsea Heights. Mordialloc-Braeside won!! To get to every match they used to cram 10 or more kids into the back of one of the fathers panel vans while some travelled by push bike. They continued to play at Ross Reserve for another two years before moving to the current location at the Walter Galt Reserve in Parkdale. The club jumpers at the time were light green with a diagonal white stripe which you can find displayed in the club rooms today. Their original intention was to have a green jumper with a white V, but St Francis already had this design. In their first year they won most of their games, but alas, a premiership eluded them. The first presentation night was in 1969 and held at the Mordialloc Community Centre in Warren Road. The guest that night was Kevin Murray (Fitzroy) and Norm Brown (Fitzroy). In 1970 they joined the Chelsea League, another good year with lots of wins, but still no premiership. 1971 was a time of great change in the club, with the move to the Walter Galt reserve, a previous tip site that they top dressed and grassed and became their first oval. There were no dressing rooms or club rooms at this stage, so they changed in tents, cars, or whatever. The then Under 13’s played an excellent season and secured a berth in the 1971 Grand Final. 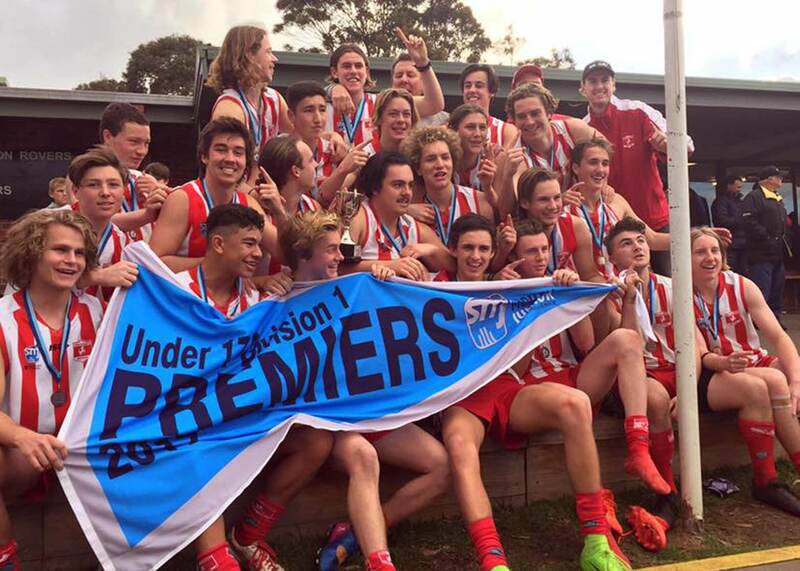 The finals concluded with great joy and celebration when they produced the club’s first premiership! Behind the scenes both Marlene Moait (mum to Peter) and Beryl Carroll (mum to Dean) worked tirelessly organising everything from pie nights to oranges for the games. These two set high standards for everyone that followed in their footsteps, and cemented the culture that’s been built on over the last 50 years. In 1971 there were two teams, Under 13’s and Under 15’s. 1972 saw the club grow with Under 11’s and 10’s formed. The Under 10’s began due to an influx of 70 boys wanting to play and were nick named the “midgets”. The midgets won a premiership that year against Carrum. In 1973 there were Under 9’s, 10’s, 11’s, 12’s, 13’s, 14’s and 15’s. 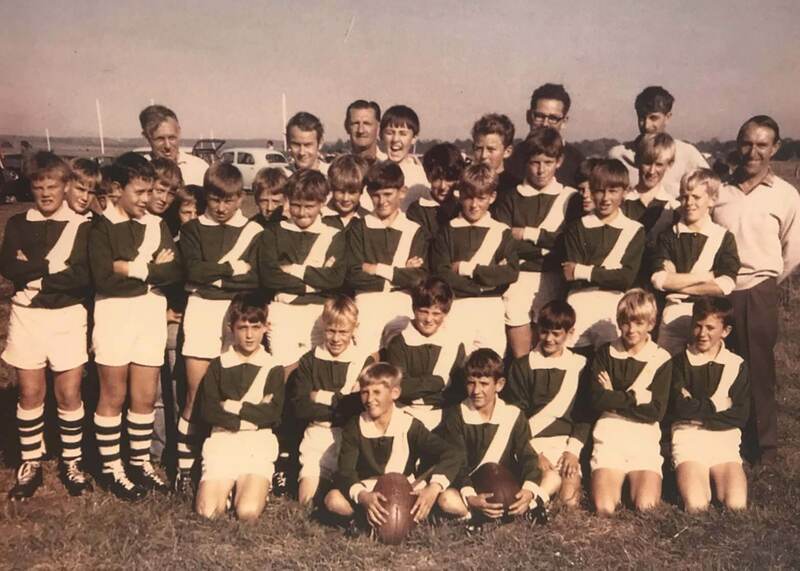 The joining with Elizabeth Football Club in South Australia started in 1970, with a parent at the club knowing friends in Elizabeth involved in the football over there. The Elizabeth team brought their team over for celebrations at the end of the season. One of the players that came over was John Platten’s older brother Michael. The Club’s have enjoyed a great relationship over the years, and continued the tradition of an interstate match until very recently. The playing jumpers changed quite a bit over the early years of the Club. The green with white stripe was around for only the first 3 years, as St Kevin’s returned to the League so our white stripe was replaced by an all green jumper. From 1973 until 1979, the Mordi-Brae teams (even age groups!) playing in the Chelsea District JFL wore a Melbourne style jumper that was blue with a red V. The odd age group teams, who played in the Dandenong District JFL wore a Port Melbourne style jumper that was blue and red stripes. In 1979, a local senior football Club donated a set of red and white jumpers which have been worn ever since. In 1998, Mordi-Brae joined the Moorabbin Saints Junior Football League allowing all teams to play under the one League, which ease the administrative tasks on all involved at the club. It was a great first year in the MSJFL with a premiership win to the Under 10’s and runners up in the Under 9’s and 13’s. In September 2008, renovations to the clubrooms at the Walter Galt Reserve were completed and officially opened by the local mayor. The clubrooms have been used throughout the last decade by a large number of community and businesses. It is seen as a fantastic venue and continues to be used by other football based organisations such as AFL VIC and the SMJFL to conduct seminars and information sessions. In 2011, there were two major developments for Mordi-Brae JFC. The club registered its first all girls Under 12’s team and saw the installation of two new light towers on the “top” oval which greatly increased the lighting on both ovals. Further to these, in 2012, another 2 towers were installed allowing Mordi-Brae to move towards hosting night games under lights – a great thrill for all involved. 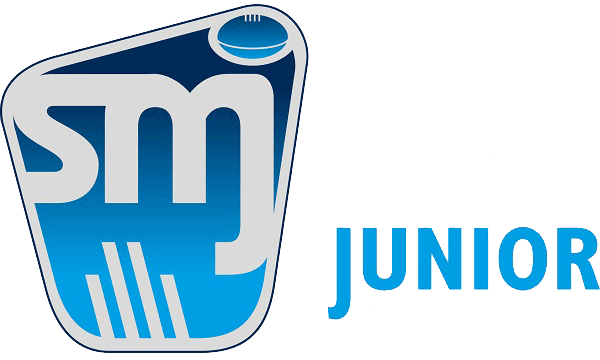 The MSJFL became the SMJFL (South Metro Junior Football League) in 2012, and Mordi-Brae has continued to field teams in competitions run and managed by the League. Mordi-Brae JFC has been a core member of the Parkdale, Mordialloc and Braeside community for a number of years and we continue to grow as a Club. We are now one of the largest junior football clubs in the City of Kingston, the SMJFL and in the top 20 Clubs in Australia (in terms of teams and members). In 2018, Mordi-Brae is expecting to field thirty-six teams from Under 8’s through to U17 1/2 Boys and U18 Youth Girls, including 11 all girls teams, with near on 700 registered players. All coaches are professionally trained and accredited in the skills of Australian Rules Football and we provide in-house training for our on-field team officials such as Team Managers, First Aid Trainers, ERCs, Club Umpires and more. As a Club, we recognise the importance of fostering a strong family atmosphere. Our aim is that we want children to have a sense of belonging to a Club that understands them right from the beginning. This includes assisting them with their development on an individual, physical and sporting level in a team environment that is safe, fun and an enjoyable experience. We also place a focus on maximing participation in the game of AFL. Over the 50 years of being able to offer junior football to local families, we’ve had thousands of people involved and supportive of the Club. We offer our sincerest thanks to everyone who has been involved, but our biggest thanks must go to Dean Carroll and his family, John Ronke and his family, Peter Moait and his family because without them, our Club wouldn’t be here today.